A large censer in the form of an archaic three-legged bronze vessel, ding, carved from a single large piece of rootwood. The round body is supported on three tall legs, with two loop handles extending upwards from the flat rim. Its well-polished smooth surface is carved with rounded, dramatic holes and apertures in addition to its natural fissures and gnarls. The wood is beautifully patinated and bears subtle reddish and yellowish tones in its brown colour. 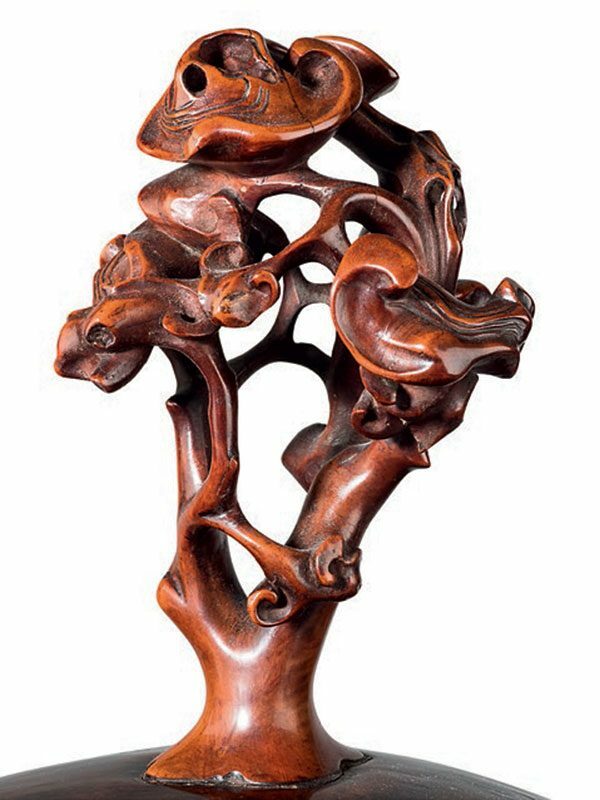 The slightly domed wood cover has a tall finial in the form of a branch of lingzi fungus, made from boxwood (huang yang mu). The stand is carved from a single piece of wood, with three cavities to accommodate the feet of the censer, and is itself supported on three short splayed feet. The interior of the cover is incised with a three-character seal mark in a square, reading Yi Lan Tang (‘Hall of bestowing on orchid’). 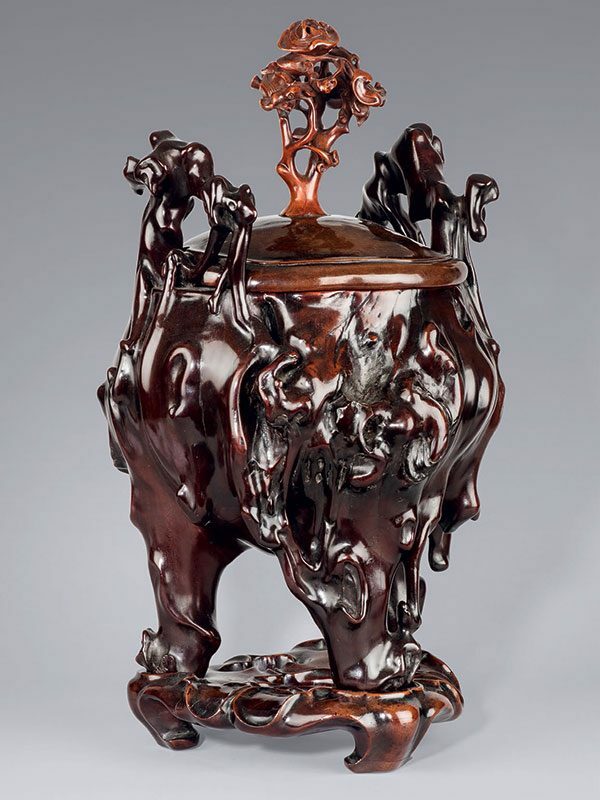 According to the mark Yi Lan Tang (‘Hall of bestowing on orchid’), this rootwood censer might have once been in the collection of a literati couple, Mr. Wu Si Lan (1908 – 1964) and Mrs. Qian Yi Lan (1917 – c. 1990), during the early China Republic period.